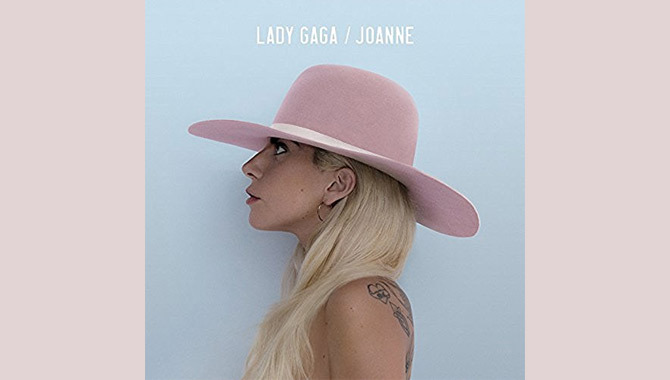 Lady Gaga (born Joanne Stefani Germanotta, 28.3.1986) is an American singer and songwriter. She started working for Interscope Records when she was 20 years old, writing songs for Pussycat Dolls, among others. Net Worth: Lady Gaga has earnings of $33 million (Forbes 2014). Childhood: Lady Gaga was born in Yonkers, New York. Her parents are Italian and she attended a private school, the Catholic Convent of the Sacred Heart. Previous pupils of the school include Paris Hilton, Nicky Hilton and Caroline Kennedy. She started to learn piano as a young child and wrote her first ballad when she was 13 years old. By 14, she was performing at open mic nights and at 17, she earned early admission as a music student to the Tisch School of Arts at New York University. She is one of only 20 people in the world to have ever done so. Lady Gaga performed in a number of bands, such as SGBand and Mackin Pulsifer, playing venues on the Lower East Side. She soon decided to break away from rock 'n' roll music, and began performing in burlesque shows. Career: Lady Gaga got her name when the producer Rob Fusari compared her vocal style to that of Freddie Mercury and took the nickname from the Queen song 'Radio Gaga'. It was Fusari that helped her to write some of her early hits, including 'Disco Heaven', 'Dirty Ice Cream' and 'Beautiful, Dirty, Rich'. Lady Gaga was briefly signed to Def Jam but the working relationship was terminated after just a few months. In 2008, she was signed to Interscope Records. 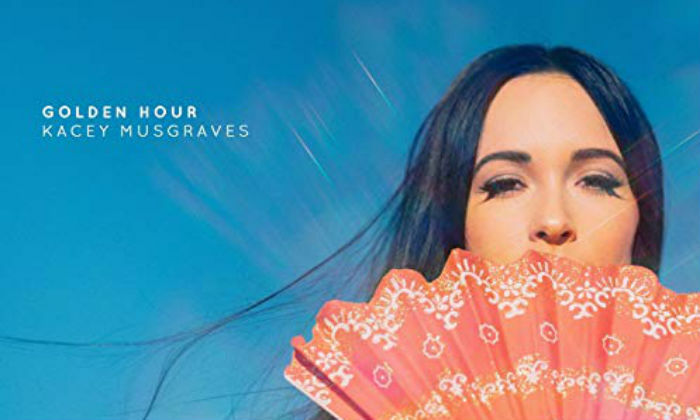 She has been contracted to write songs for a number of high profile pop acts, including Britney Spears, New Kids On the Block and Fergie from Black Eyed Peas. Akon recognized Lady Gaga's vocal talent when she laid down guide vocals for tracks that she had written for one of his acts. Akon introduced her to RedOne, who produced her debut album. The first track that they produced together was a mash-up of AC/DC's 'T.N.T.' and Mötley Crüe's 'Girls, Girls, Girls'. In 2007, Lady Gaga performed her act Lady Gaga and The Starlight Revue - with performance artist Lady Starlight - at the Lollapalooza festival. The following year, Gaga moved to Los Angeles and worked on the completion of her debut album, The Fame. She works with a collective of artists, clothes designers, stage designers and sound artists, under the collective name 'Haus of Gaga'. The first single to be released from The Fame was 'Just Dance', which reached number one in five different countries. This was followed with 'Poker Face', which went one better and reached number one in six countries. Lady Gaga's first concert tour was with the newly-reformed New Kids On The Block. Despite having secured a record deal with a branch of Interscope Records, there were some company executives who were concerned that her sound and image were too dance-orientated and too racy for the mainstream. Her response was "My name is Lady Gaga, I've been on the music scene for years, and I'm telling you, this is what's next." She was proved right, as her debut album The Fame has sold over 4 million copies in the USA alone. After touring in support of The Pussycat Dolls, Lady Gaga embarked on her first headline tour, The Fame Ball Tour, which ran from March to September 2009. Whilst on tour, she also wrote a collection of eight songs, released under the title The Fame Monster. The debut single from this album, 'Bad Romance' was a number one in 18 countries across the globe. She became the first artist to have three singles pass the four million mark in digital sales. She also won the coveted Grammy Award for Best Female Pop Vocal Performance. Her next single, 'Telephone', featured Beyonce Knowles and was nominated for the Grammy Award for Best Pop Collaboration with Vocals. The video for the single, which referenced the movie Kill Bill: Vol. 1 attracted a great deal of attention for its overt sexuality, product placement and outlandish costumes. Her following single, 'Alejandro' attracted negative attention from the Catholic church for its apparently blasphemous content. As The Fame Monster received such a positive response, Lady Gaga swiftly headed back out on tour, with The Monster Ball Tour, which eventually ran for a year and a half. She also performed at the 2009 Royal Variety Performance in London, where she sang 'Speechless', in the presence of Queen Elizabeth II. The following January, she performed at the Grammy Awards, performing a duet with Elton John. Lady Gaga's third major release, Born This Way saw the light of day in May 2011. She fused a number of different styles on the album and its lead single was the popular 'Born This Way'. A duet between Lady Gaga and Elton John, entitled 'Hello Hello' featured in the film Gnomio & Juliet. Gaga went on to release 'Judas', 'The Edge of Glory' and 'Hair' before releasing the album. She then released 'You and I' and 'Marry the Night' as singles after the album was in the shops. She also recorded a jazz version of 'the Lady Is A Tramp', with Tony Bennett. She attended the MTV Video Music Awards dressed as her male alter ego, Jo Calderone. ARTPOP was released universally on 11th November 2013, part of the promotion included the world's first 'Flying Dress', also know as Volantis. To promote 'ArtPOP', Gaga embarked on her ArtRave: The Artpop Ball tour. During that time she also made her feature film debut in Robert Rodriguez's 'Machete Kills' opposite Danny Trejo and Michelle Rodriguez. She also made a cameo in 'Sin City: A Dame to Kill For'. Gaga worked with Tony Bennett on a collaborative jazz album called 'Cheek to Cheek', released in 2014. 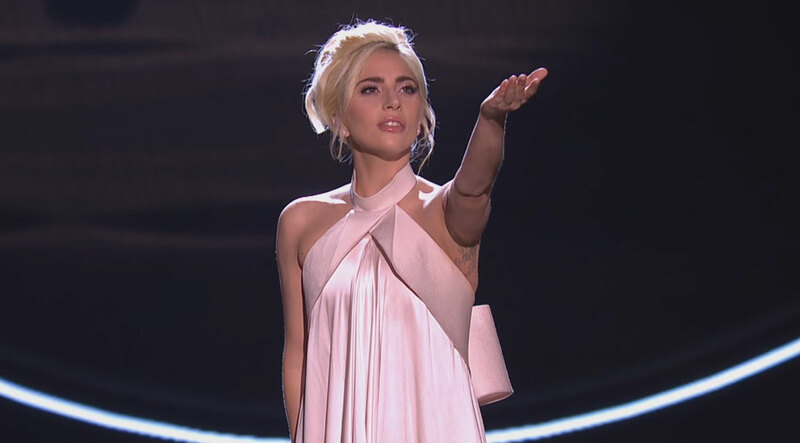 Lady Gaga has been involved in various charitable endeavours including LGBT rights campaigns and setting up her Born This Way Foundation which aims to help young people with confidence issues. Personal Life: Lady Gaga has been noted for her shocking behaviour throughout her career. From her elaborate outfits - that once included a dress made from raw meat - to going clothing-less altogether, she has grabbed headlines in the past few years based on her unique creativity. She caused controversy in the UK with violent theatrics on stage during the 2009 MTV Video Music Awards, which came only days after a brutal mass murder in the north of England and she was accused of glorifying bulemia by employing vomit artist Millie Brown to throw up on her during her 2014 SXSW performance. Gaga has previously dated music producer Rob Fusari who worked with her professionally at the start of her career. She is currently in a relationship with actor and model Taylor Kinney. After the release of her single 'Poker Face', she revealed that it written in regards to her bisexuality. Gaga was diagnosed with the autoimmune disease lupus but she claims she is not affected by the symptons. 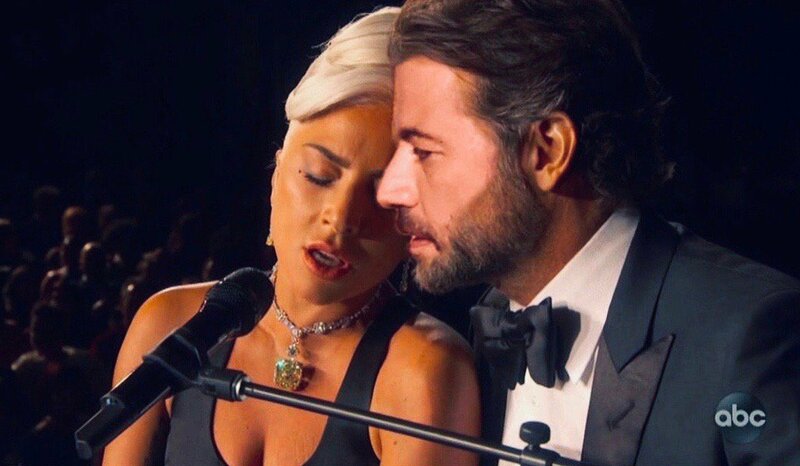 The internet is going wild over Bradley Cooper and Lady GaGa's performance at the 91st Academy Awards. 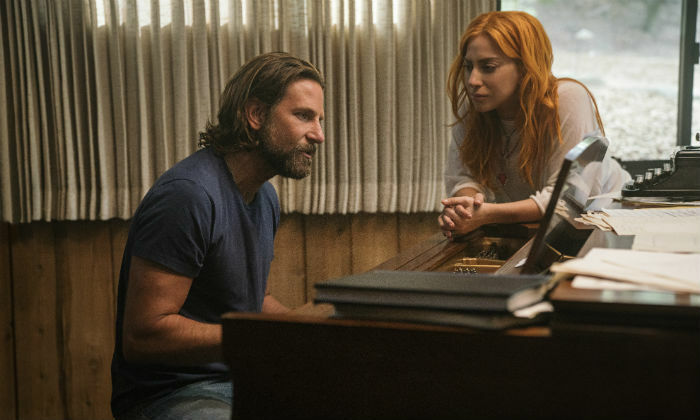 They sang Shallow from their 8-times nominated movie A Star Is Born and it was an incredible duet - if only for the palpable chemistry between the two artists. 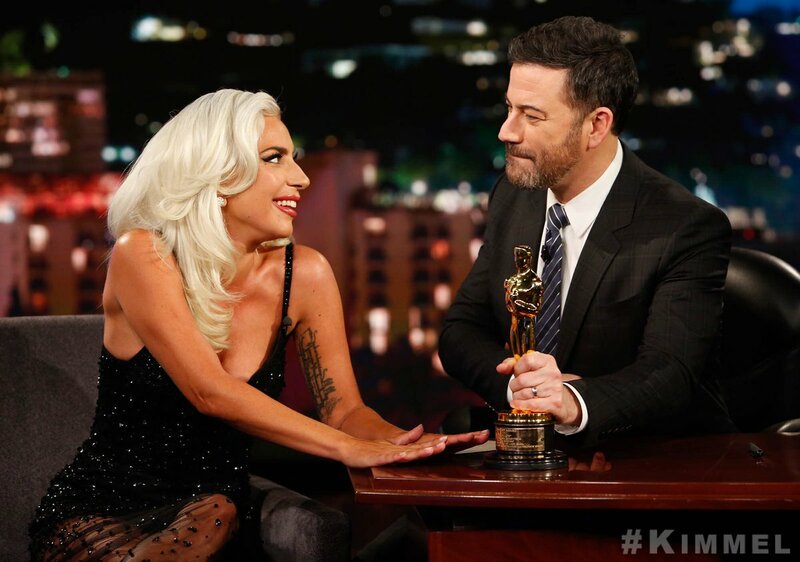 Fans are confused about the relationship between Gaga and Cooper. Despite the fact that Cooper has been with his partner and mother of his child Irina Shayk for four years, there was no denying some serious electricity as he performed Shallow with Gaga right in front of her eyes last night. Gaga co-published an essay in The Guardian for Mental Health Awareness Week. Lady GaGa has penned an emotionally-charged essay on mental health and suicide, as part of Mental Health Awareness Week, in the hope that she can help spark a “new movement”. In an opinion piece published in The Guardian late on Tuesday (October 9th), co-written with the director-general for the World Health Organization, Dr. Tedros Adhanom Ghebreyesus, the pop singer called for “governments and industry to put mental health at the top of their agendas”. 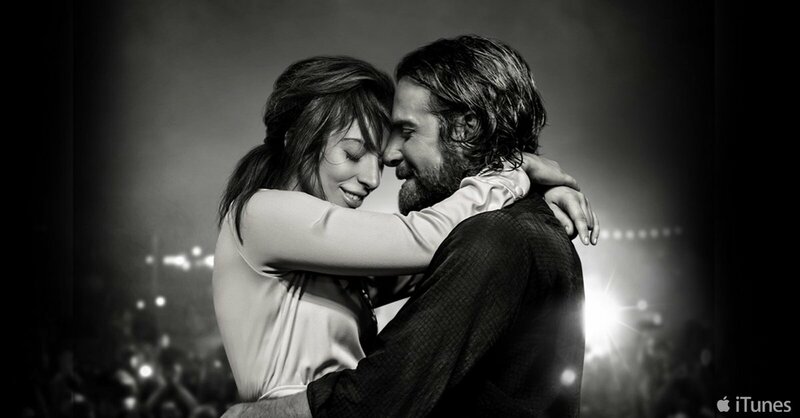 Iconic singing and acting duo Lady GaGa and Bradley Cooper are riding high on the success of their latest film, A Star Is Born, which has earned rave reviews in the week leading up to its release. However, it seems there were some tricky times leading up to the finished project with Lady Gaga revealing her director and co-star, Cooper, refused to let her wear make-up during filming. The normally flamboyant star was stripped back to the bare essentials on set with Limitless star Cooper as the pair retell the 1937 classic of the same name for the third time. Gaga was advised to undergo plastic surgery when she started out her musical career over a decade ago. Lady GaGa has revealed that she was advised to “get a nose job” when she first started out in the music industry. She drew on some of that experience to play the part of her character Ally in the new film, but knew that she had to differentiate her real-life lessons and the requirements of the performance. A reason was never given at the time of the tour's cancellation. Lady GaGa has addressed the real reason why she pulled out of the joint tour she was due to take with Kanye West almost ten years ago. No reason was ever given at the time about why she was cancelling her appearance, but the singer knew that it was time for her to stop. The pair were set to embark on their 'Fame Kills' tour beginning in November 2009 and taking them to January 2010, but the dates ended up being cancelled shortly after tickets went on sale. Many suspected it had something to do with the controversy surrounding Kanye interrupting Taylor Swift's MTV VMA acceptance speech, but Gaga says it was more personal than that. 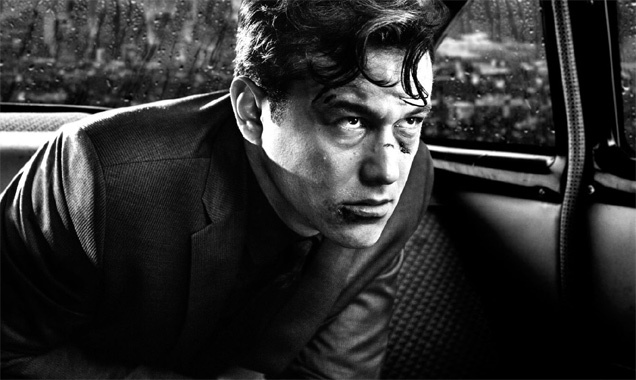 This film is bound for a Best Soundtrack Oscar nomination. 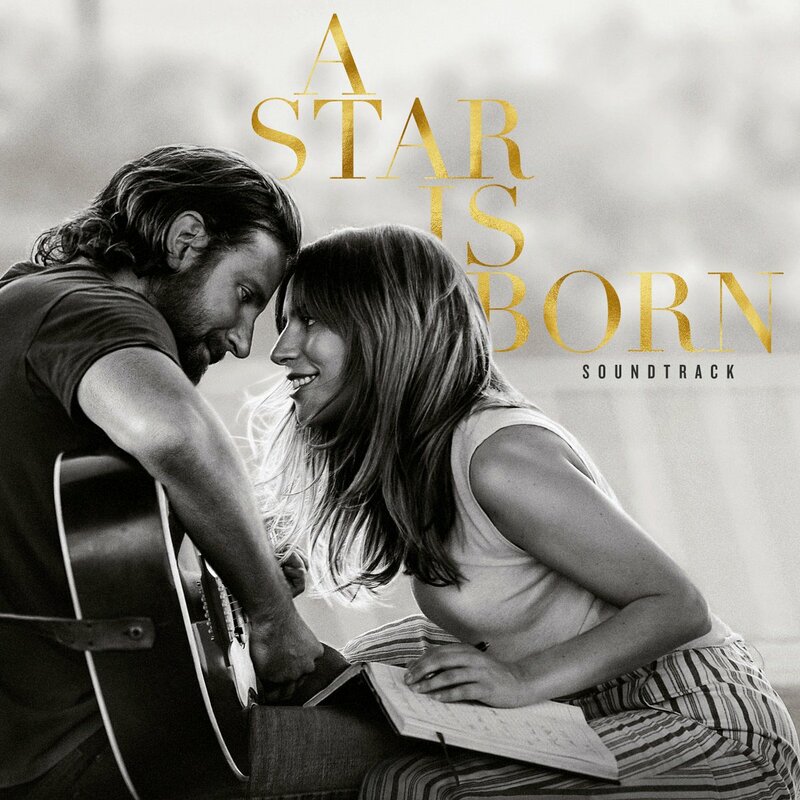 Bradley Cooper's hugely anticipated directorial debut 'A Star Is Born' is less than a month away, but it couldn't come quick enough now that the official soundtrack has been released, featuring 17 original songs and so much inspirational energy. 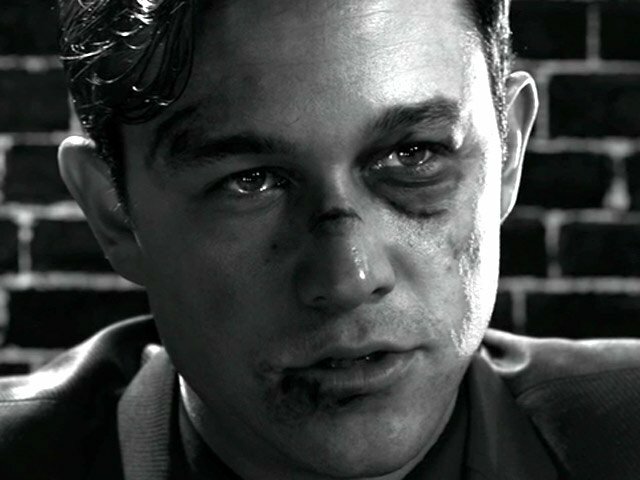 Are we looking at an Oscar winner? There are a generous 34 numbers on the soundtrack including covers of 'Somewhere Over The Rainbow' and 'La Vie En Rose', and a song written by Alabama singer-songwriter Jason Isbell called 'Maybe It's Time'. 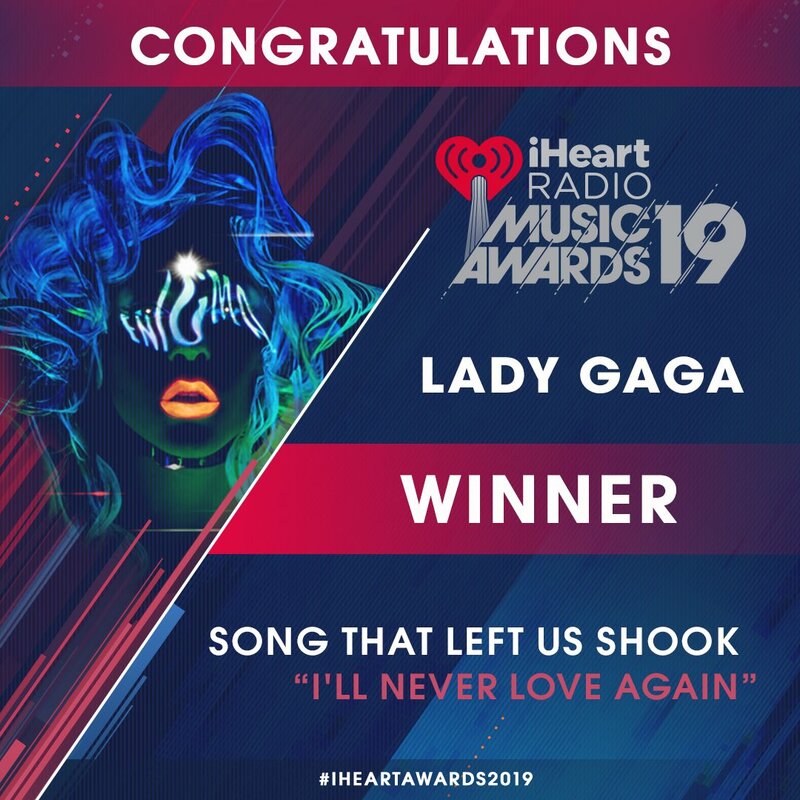 Otherwise, most of the songs were written by Lady Gaga and Bradley Cooper, with the help of Mark Ronson, Lukas Nelson and others. The inked celebrity was found dead at his home this week. 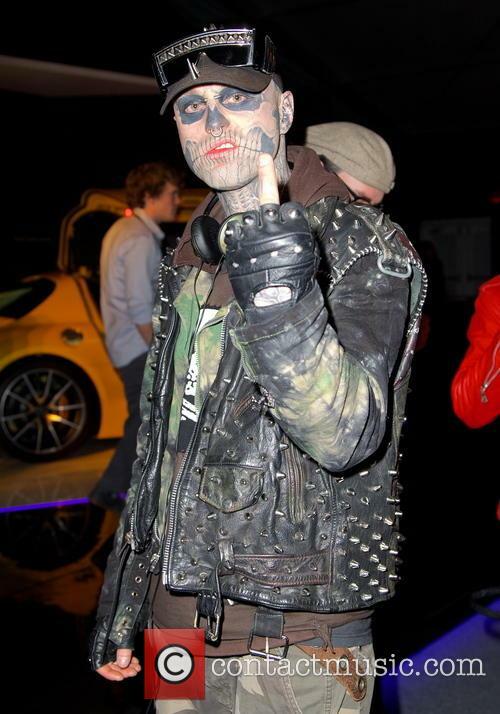 Lady GaGa and more have reacted to the shocking news that tattoo icon Rick Genest (aka Zombie Boy) has passed away at the age of 32, apparently having taken his own life at his home in Montreal. Cause of death is yet to be confirmed, but Gaga has commented since with regards to mental health. The Canadian actor, model and performer - perhaps best known for his appearance in Gaga's 'Born This Way' video - allegedly committed suicide on Wednesday (August 1st 2018) less than a week ahead of his 33rd birthday the following Tuesday. He was found dead at his home but there are so far no further details.